Home / APPLICATIONS / How to Safely Recover Metal working Fluids? How to Safely Recover Metal working Fluids? Metalworking fluid (MWF) is the name given to a range of oils and other liquids that are used to cool and/or lubricate metal workpieces when they are being machined, ground, milled, etc. MWFs reduce the heat and friction between the cutting tool and the workpiece, and help prevent burning and smoking. Applying MWFs also helps improve the quality of the workpiece by continuously removing the fines, chips, and swarfs from the tool being used and the surface of the workpiece. Millions of workers engaged in manufacturing parts for products such as automobiles, farm equipment, aircraft, heavy machinery, and other hardware are exposed to metalworking fluids (MWFs). 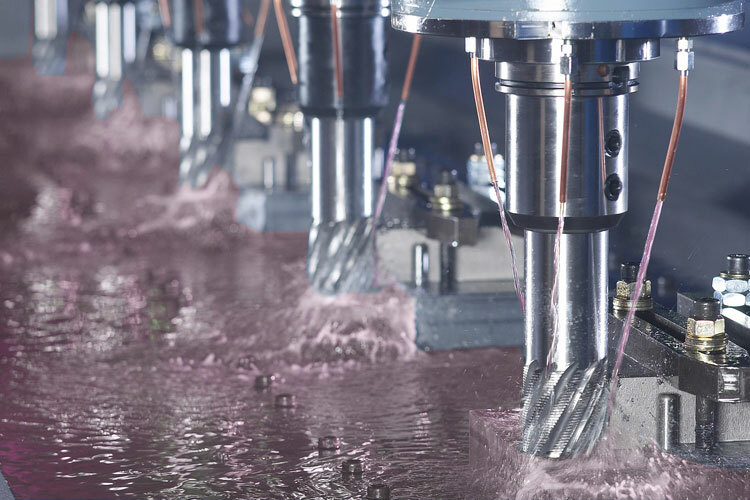 Metalworking fluids are in widespread, high volume use for their coolant, lubricant, and corrosion resistant properties during machining operations. These fluids are complex mixtures of oils, detergents, surfactants, biocides, lubricants, anti-corrosive agents, and other potentially toxic ingredients. PrestiVac Industrial Vacuums are designed to vacuum a wide variety of dusts and liquids. Built all in Stainless Steel making it a very solid unit, equipped with washable main filter for dusts and liquids. Very powerful vacuums available Electrically Operated and Pneumatic (Air) Operated. Which Industries use Metal Working Fluids?